Heavy duty construction with one-piece cast iron base. Cross table incorporates precision linear slides, ball screws, and is fully covered for accuracy and long life. Variable speed 3HP (2.2 KW) motor with quick-change #40 Taper spindle standard. HSK50, HSK63 or customer specified spindle and adapters are available to suit all CNC and non-CNC grinding machines. Machine can be provided with a dust-collection system (optional). Heavy duty rotary table pivots with two pairs of precision angular contact bearings. Variable-speed dressing wheel and the oscillation is adjustable in position, stroke and frequency. 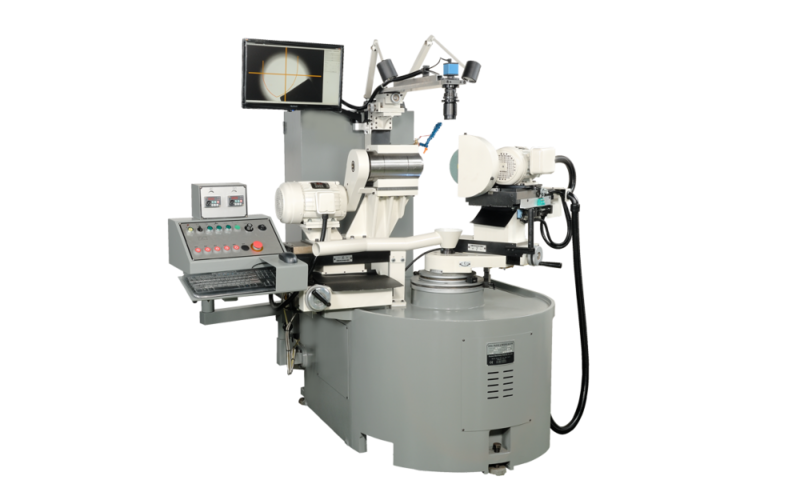 RushVision system allows for easy setup and for measuring wheel diameter, width, position, and inspection during or after dressing.